Includes 65 draft picks and 45 Futures Game prospects. The 18 autographs are exclusive to Bowman Chrome. Includes Futures Game jersey swatches. Usually, a Bowman product can be carried by one or two good autographs. 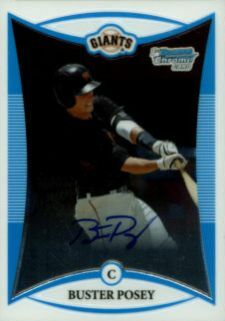 2008 Bowman Draft Picks & Prospects has three excellent options. 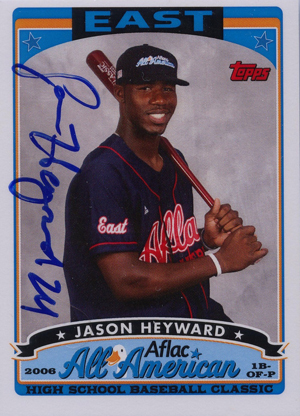 Couple that with a handful of secondary signatures and rookie autograph variations, and it's easy to see what this is one of the strongest modern Bowman releases. 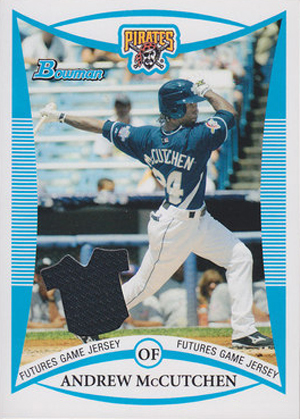 As it has been for since 2002, 2008 Bowman Draft Picks & Prospects Baseball combines both the Bowman and Bowman Chrome brands. The base set has just 55 cards, all 2008 rookies. 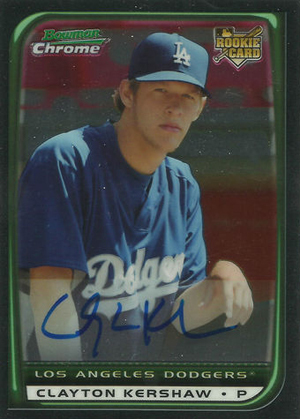 The best rookie cards in the set are Clayton Kershaw and Evan Longoria. However, because each had Prospect Autographs in earlier years, the impact isn't as big as many might expect. Most would argue that the Prospects inserts are the bigger draw, often offering the first cards of players in their MLB jerseys. The Prospects set has 110 cards: 65 draft picks and 45 Futures Game participants. There are also 18 Bowman Chrome Prospect Autographs. Key signers include Michael Stanton (aka Mike Stanton, aka Giancarlo Stanton), Buster Posey and Jesus Montero. As with all Bowman sets, prospectors and player collectors often chase after Refractor rainbows. 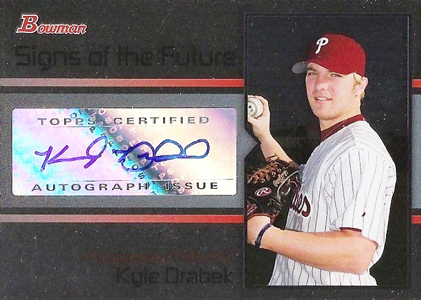 2008 Bowman Draft Picks & Prospects has seven different Refractors to chase with varied numbering. 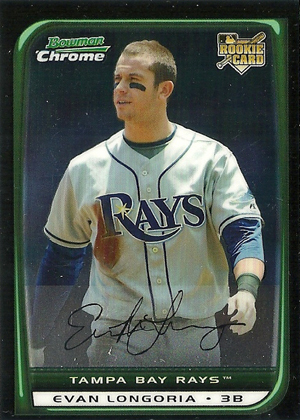 Other inserts in 2008 Bowman Draft Picks & Prospects include Rookie Variation Autographs, Futures Game Jersey Variations, Signs of the Future autographs and AFLAC Autographs. 2008 Bowman Draft Picks & Prospects hobby boxes come with 24 packs of seven cards. Each pack has two Bowman base cards, two Prospect cards, two Bowman Chrome cards and one Bowman parallel.